Absolute Marble and Granite is your recognized provider who carries the best collection of Quartz countertops for kitchen and bath surfaces in the Fort Lauderdale, FL area. Decide upon your quartz colour today and phone us for a free estimate! Quartz surfacing products has a various uses in your residence or company such as design kitchen counter top, vanities, hearth surrounds, wet bars, showers, etc. 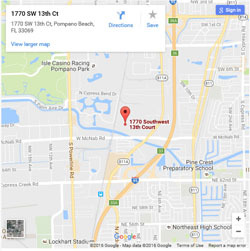 Located in The Pompano Beach, Florida and serving the greater Broward County region, Absolute Marble and Granite is amongst the top quartz countertops companies. Working with natural stone slabs, we hand-cut our quartz stone slabs precisely to the measurements your kitchen or bathroom countertops, or for any other locations in your home. We present beautiful, natural stone that lasts for years. To see some of our past projects, visit our gallery. Stronger and more robust than granite, quartz is commonly understood as the right natural stone surface for very busy kitchens. This material is one of the hardest and most durable on the globe, and it happens to be stain-and heat-resistant. Counter tops crafted from this natural stone also are very easy to take care of. A result of the stone’s non-porous benefits, our countertops are also hugely resistant to mold and bacteria toxic contamination. Simply because quartz countertops are manufactured right in South Florida, we at Absolute can offer quite a few color choices, including popular. We will come to your house or business for a free of charge, zero obligation appraisal. This means that we will take every one of the necessary measurements, go over different quartz color selection options, and give a very accurate cost estimation. If you need cambria countertops service, we can help you. Call us today for more information.